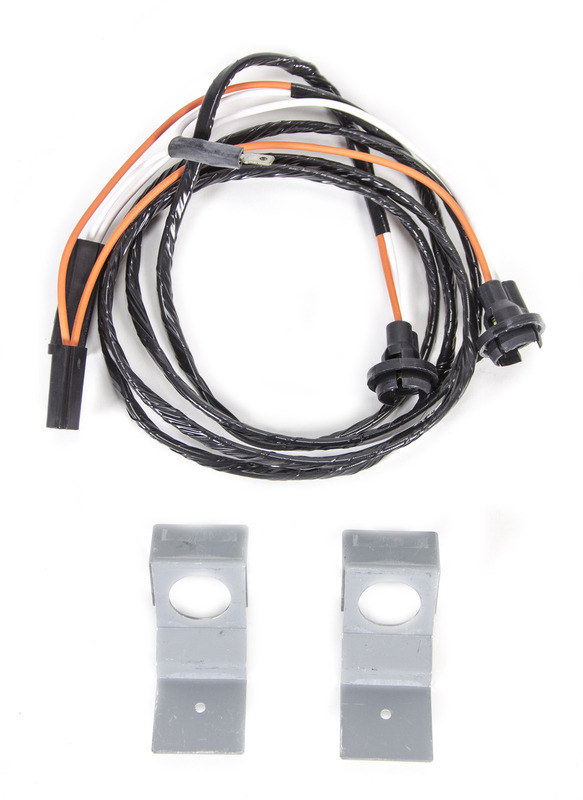 Here is a complete wire harness system for your 55-56 Chevy. If you are wanting to update your wiring in you classic, this is the way to go. These kits give the builder complete flezibity to use original stock switches and components as well as custom updated accessories, such as Dakota Kigtial, Vintage Air, and Ididit Steering Columns. Each kit comes with all the switches and scockets needed. This is really a very nice complete kit. Heater control panel lighting, power, and blower motor leads are included for original style heaters as well as aftermarket heat and A/C updates such as Vintage Air, etc. Headlight bucket grommets, parking light weatherproof boot and tube assemblies and light sockets are included for 1955-’56.